Both OLTCA and ORCA AGMs will take place at the International Plaza and Conference Centre Toronto Airport (IP). The Leadership Reception and Dinner will take place at the Toronto Congress Centre, South Building (TCC, SB). All sessions will take place at the Toronto Congress Centre, South Building (TCC, SB). Specific session rooms will be provided via the onsite program, unless otherwise stated below. We are EXCITED to announce Jim Carroll as the Together We Care 2017 Opening Keynote. Jim will discuss the opportunities that come from innovative thinking in dealing with one of the most significant challenges of our time, caring for our aging population. Acknowledged as one of the world’s leading global futurists, trends and innovation experts with a massive global blue chip client list, Jim helps transform growth-oriented organizations into high-velocity innovation heroes! Your staff are your most important resource. They are entrusted with taking care of the people you pledge to protect but also have to be there to respond to concerns when things don’t go as planned. The effective management of an organization’s human resources function is one of the most important aspects of successfully operating a long-term care home or retirement community, along with the role of management to respond and guide in times of crisis.Learn from a panel of experts ranging from labour law, human resources, crisis communications and operations on how to avoid, manage and recover from incidents that may threaten your brand, operations, or residents. North American society puts a high premium on youth and remaining young. With advancing technology, we’ve become addicted to constant change. As members of this society, we resist aging and, in the process, fail to value the wisdom and insight present in our aging population. We perceive aging as an inevitable reality and fail to see this as desirable, something to be revered, or a respected part of our society.In this session, we will explore the questions: How do we celebrate and respect seniors in our midst? How do we recognize healthy older adults as elders and as contributing members of our society? How does this impact our attitudes in long-term and retirement living, as our bodies and minds break down and we are no longer able to care for ourselves? In a highly regulated sector what new forms of care and service are yet to be discovered?Delegates will leave inspired to change the world of senior living for the better, excited about being a part of something greater than oneself and motivated to participate in interdisciplinary, cross-organizational efforts to improve living for our elders. 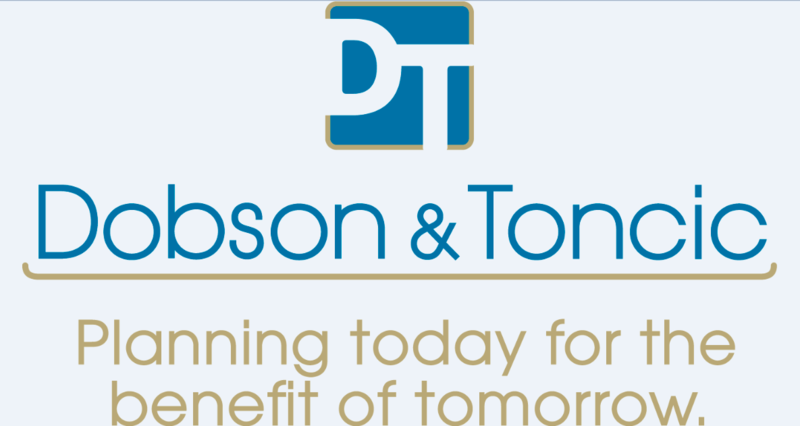 There are many challenges to managing workplace-related legislation and litigation. In this session, delegates will learn how to navigate these challenges, anticipate a variety of obstacles, be proactive and become successful in avoiding litigation. Innovation drives growth and creates competitive advantages for those organizations that know how to harness its value. It is paradoxical, that current practices in developing leadership actually discourage and underdevelop the competencies required to innovate. This presentation will review the competencies required in order to become an innovative leader and how the common leadership development practices used by organizations are failing to do so. Traditional approaches will be explored and compared to alternatives that are directly linked to promoting innovation. Given the increasing social acceptance of cannabis, more accessible products, and the outcome of some legal challenges under the Canadian Charter of Rights and Freedoms, we may see a push towards greater acceptance of medical cannabis in retirement homes. This session will help to better understand the ins and outs of medical cannabis, and will provide guidance on how to navigate the shifting legal landscape. 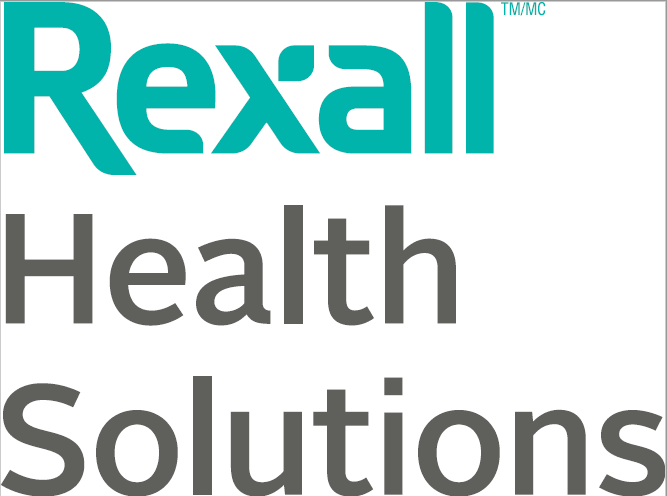 Imagine being able to retrieve information on your residents’ hospitalizations, lab results, and diagnostics with one click inside your existing Electronic Health Record software. That’s what LTC eConnect will provide over the next year – along with all the support and training you need to get on board. But the free support is time-limited, which is why it’s important to get on board and start the process now. Join long-term care clinicians, the LTC eConnect project team, and project partners to learn how LTC eConnect’s solution will improve resident care and save staff time. Panelists will discuss the top Frequently Asked Questions they’ve been hearing about the project, and take questions from the audience.LTC eConnect is a major sector-wide project designed to help long-term care homes connect easily with provincial e-health networks and the data they offer. Led by the Ontario Long Term Care Association, LTC eConnect is a collaboration with Canada Health Infoway, eHealth Ontario, software companies PointClickCare and ThoughtWire, the Ontario Association of Not for Profit Homes and Services for Seniors, and the Ontario Long Term Care Clinicians. As children we all got excited getting a “Happy Meal” at McDonalds. Nothing was better than that special food and toy treat in that bright red box. In this presentation Carol will show you how to bring those happy feelings back into the dining experience and make each and every meal a “Happy Meal”. The seniors we serve deserve an experience that respects their dignity, offers them choice and brings them joy. So join Carol as she shares her experience, creativity and innovate ideas with you. Take away ideas that can be simply and immediately implemented in your homes. You will leave this session motivated and empowered to set up systems in your facility that make people HAPPY! To understand what a person living with dementia experiences, you will not want to miss participating in a Virtual Dementia Tour. These are available on the Trade Show floor during exclusive Trade Show Hours and Concurrent sessions. Risk-based Compliance and Inspection Program: Ministry Updates and AnalysisCome hear from the Ministry of Health and Long-Term Care’s Inspections Branch about the latest inspection program information including inspection outcomes and homes’ risk level assessments.Hear about proposed changes to the Ministry’s enforcement options and learn more about future changes to the inspection framework. Successfully blending the five generations currently in the long-term care and retirement living workplace can be a tall order; your leadership is essential!Our goal as staff is to support happier, more productive employees while also maintaining focus on our residents’ care, comfort and safety. Our business thrives when employees are well-trained, confident and secure in their job.This highly requested interactive presentation covers strategic methods of improving employee morale, improving operational efficiency, increasing employee retention and improving employee productivity, including how to find it, how to harness it and how to keep it. Millennials get a special nod in this presentation – and you’ll see why they deserve it in this fun, informative and fast-paced session! Speakers: Dr. Robyn Stone, Executive Director, LeadingAge Center for Applied Research, and Kristine Theurer, Founder & President, Java Group Inc. Despite the benefits of congregate senior living, many residents experience a diminished sense of purpose and social isolation. Although some residents adapt, many remain isolated resulting in high rates of loneliness and depression. Research indicates that individuals engaged in peer support draw significant benefits from the exchange of advice and emotional connection, however peer support programs are rare within residential care. To address the above concerns an innovative peer support intervention was developed called the Java Mentorship Program. Using video and interactive group learning, presenters will share final research results, review implementation processes and lessons learned. As a hospitality driven industry, multiple parallels can be drawn between the retirement home sector and the hotel industry. Panelists will bring knowledge from the hotel industry, and the retirement home sector to provide insights into how specific business measures influence operational decisions that are made on a daily basis. Without a constant eye on the business “dashboard” long-term success will be difficult to achieve. Quantifiable data such as Guest/Resident satisfaction, Employee Engagement, occupancy, revenue per Guest/Resident, labour costs, food costs and capture of market share are some of the measures needed to make informed operational decisions. Rather than relying on “gut feel”, measured and calculated decision will enhance a culture of service while maximizing profitability. Globally the hotel industry has successfully used business metrics to improve performance. Learn how the business measures supported the evolution of the hotel industry and how the retirement home sector can utilize these measures and maximize CORE data to benchmark our successes. Traditionally, long term care homes will offer multiple therapeutic diets and nutritional supplements to improve the nutritional status of their residents. The special food items and supplements required for this approach adds costs to the food service department and may not have the desired positive outcomes for residents. This presentation will discuss how streamlining menus by liberalizing diets and using fortified foods can assist to improve the nutritional status and quality of life of seniors in long term care. Delegates will then have an opportunity to learn implementation strategies and discover how to apply these principles to new menu ideas, recipes and cost saving strategies. We are excited to announce that Candace Chartier, CEO, Ontario Long Term Care Association and Laurie Johnson, CEO, Ontario Retirement Communities Association, will host an exclusive CEO Series session for exhibiting or sponsoring delegates at Together We Care.This session will provide updates and insight on key issues facing the both sectors and will provide a forum for information sharing, information gathering and open-ended dialogue with Candace and Laurie.Be sure not to miss this informative session! Speakers: Karen Brill, Leadership Coach and Dan Kaniuk, Responsive Group Inc. Without an integrated approach to leadership development, leaders are left to sink or swim, which has an impact on every part of your organizational operations. In order to remain competitive, an organization needs to have learning strategies in place for its leaders.This session will provide delegates with an approach to creating a leadership development platform and curriculum for both large and small long-term care organizations. Join us and learn more from the Responsive Group’s lived experience as they share how they’ve built a successful program for their leaders. The Ontario Ministry of Health and Long-Term Care has indicated its intention to invest in renovations of more than 300 long-term care homes over the next nine years through construction funding subsidies. However, although desperately needed, construction projects can expose organizations to significant legal and financial risks.During all phases of the project from planning and designing through to funding and construction, risk management should be top of mind. This session will speak specifically to the procurement stage, as there are many procurement pitfalls that organizations fall into unintentionally if they are not aware of best practices, legal compliance and risk mitigation approaches. This session will provide delegates with an overview of the construction procurement process, identify common pitfalls and provide concrete recommendations for risk management practices. What do Theme Parks and Entertainment Design Have to Do with Retirement Living? What attracts people to theme parks has dramatically shifted over the past 10 years, and the same shift is paralleled in retirement living. Older adults want more activity and more life enhancement, and families and surrounding communities are an integral part of these retirement communities. The President and CEO of FORREC, the creators of Legoland and Universal Studios, explain how understanding the design principles that make a place entertaining are just as valid when applied to places where seniors live. Come learn about two of FORREC’s retirement living projects in the US and Canada that are reinventing the approach to life after 55. In this session, Dr. Power will describe the drawbacks of a narrow biomedical model for viewing dementia. He will then offer an alternative approach that rests on three basic pillars: redefining dementia in terms of the individual’s experience, shifting to a proactive focus on enhancing several aspects of well-being, and transformation of the care environment to support these new approaches. Attendees will leave with concrete examples of how this model can be put into practice, and an approach to personal expressions that can create dramatic and sustainable results, without the use of potentially dangerous medications. This session will introduce the International Dysphagia Diet Standardisation Initiative (IDDSI) and discuss the importance of a global “common language” for dysphagia diets. The IDDSI framework will be presented and the process and rationale behind various aspects of the framework will be described. Strategies for implementation will be outlined along with updates on current and future implementation initiatives across Canada.Cindy Steel, RD and Jenn Burnett from Nestlé Health Science, platinum sponsors of IDDSI, will join Janice to facilitate a hands on workshop with the objective of giving the participants a chance to understand and practice the IDDSI syringe test to measure thickened fluids. Tom Wagenlander is the Executive Director of the international nonprofit Wish of a Lifetime (WOL), whose mission is to shift the way society views and values our oldest generations by fulfilling seniors’ dreams and sharing their stories to inspire those of all ages. WOL has granted over 1500 Wishes to seniors in the US and Canada.WOL envisions a world in which society embraces aging and the inherent wisdom that accompanies it, where seniors are celebrated for their accomplishments and sacrifices, and where intergenerational connections are part of our daily lives. The ongoing culture change movement recognizes that family involvement in long-term care is essential to creating communities where everyone thrives. Engaging and collaborating with families helps us to create partnerships, develop creative solutions to challenges, and ultimately improve the quality of life of residents.In order to help us reach our goal of excellent, resident-centred care we need to collaborate regularly and well with resident’s families. We need to close the loop and engage families as active participants in the drive to achieve exceptional resident quality of life.Family Councils are legally mandated and protected groups in long-term care. Long-term care home licensees, administrators and staff have certain duties they must fulfill with regards to the Family Council. This session will help delegates learn how to carry out these duties in a collaborative manner and how to promote effective relationships between Family Councils and long-term care homes. Through discussing the Long-Term Care Homes Act, the role of home staff, communication and collaboration strategies, and case studies, this session will explore leading practices in family engagement in the sector. This session will provide practical and actionable approaches to effectively engage and collaborate with residents’ families and Family Councils, which helps drive exceptional resident quality of life. The Hogeweyk has become well known all over the world as the Dementia Village. But what is it? The Hogeweyk is the outcome of an integral care concept for people living with a severe dementia that guarantees a life where living, wellbeing and health are equally important. Most of all with the focus on a normal life. The care concept is based on 6 pillars. On the basis of the 6 pillars, the concept will be explained thoroughly. His session will aim to inspire the audience to explore new dementia care models in Ontario. Speakers: Trish Barbato, Senior Vice President, Innovation & Strategic Partnerships, and Bill Jarvis, Resident Innovation Ambassador, Revera Inc. There is an incredible opportunity for organizations to help older adults change their experience of aging – and innovation can play a huge role in supporting seniors to live their lives to the fullest. Innovation is critical in creating the aging experience that residents expect and deserve. 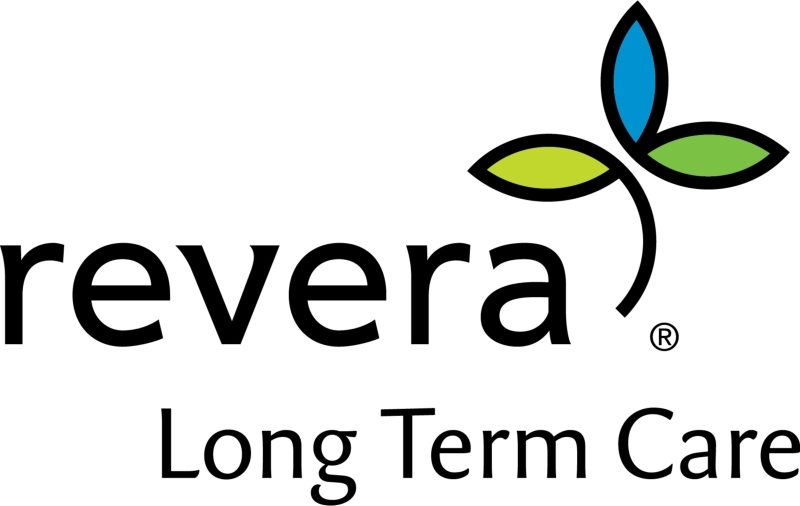 The opportunities are endless and organizations need to work together to bring innovation to older adults, to create more vibrant and happier seniors, families and caregivers.An example of collaborative approach can be found in Revera’s Innovators in Aging program. Revera set its priorities based on the needs of older adults and feedback from employees, and is now working with entrepreneurs to help them bring the latest innovations for seniors to a broader audience. This includes with new products, services and technology to aid in preventing falls, improving communication, managing incontinence and more.In this session, learn how to quickly and efficiently create an innovation structure that supports creativity and risk-taking within your organization. Leave with practical and implementable ideas to create a culture of innovation in your organization. Capital Renewal – Where Do I Start? If you have a B or C Home and have not yet applied to the Ministry to undertake a renewal this session is for you. Presented by staff of the Ontario Long Term Care Association and Association members who have experience in going through the process. Because Alzheimer’s disease and other dementias are progressive, degenerative diseases, a person’s symptoms will gradually get worse and there likely will come a time when a caregiver can no longer provide care in the home. Moving a loved one with dementia into a long-term care home may be one of the most difficult decisions a caregiver will ever have to make, even if necessary for both the caregiver’s well-being and that of the person they are caring for.Staff in long-term care homes can play a pivotal role in making the move-in day and adjustment period less traumatic for families. Resources are available to support staff in building strong relationships with families during this difficult time, including resources created by the Alzheimer Society of Canada and Alzheimer Society of Ottawa that provide staff with practical steps they can take to make the move to a long-term care home easier for everyone involved.Participants at this session will have the opportunity to hear, reflect on and “tune in” to the reality of moving to a long-term care home from a family caregiver’s perspective. They will be challenged to consider tips and strategies provided by family caregivers to help make this transition time an opportunity for relationship-building and setting the tone for a positive working relationship in the months and years to come. Who better than Campbell’ Foodservice, a leading manufacturing partner for the senior living industry, to present on Soups. They will showcase a range of menu solutions and recipes balancing culinary inspiration and comfort foods to satisfy food service operators and resident’s needs. Their product portfolio includes a full range of prepared and scratch soup recipes, entrees, beverages and specialty products such as texture modified foods. Come prepared to enjoy a sampling of savoury soups guaranteed to warm you up. Opening Minds Through Art (OMA) is an award-winning, evidence-based, highly structured intergenerational program designed for people with dementia to more freely express themselves, succeed on their own with minimal assistance, and feel a sense of personal accomplishment. It is founded on strengths-based psychology: Capitalizing on what people with dementia still can do and their creative capacity.The program is guided by a certified Opening Minds Through Art facilitator and involves students who commit to learn about dementia, the OMA philosophy and methodology, as well as skills for effectively communicating with persons with dementia. The students are then able to facilitate the elders’ creativity by allowing them to make concrete choices and decision making about their art. Through this process elders build autonomy and an increased feeling of self worth, as all decisions are made by them. The students involved are also able to broaden their perspectives, enhance their critical thinking, interpersonal skills and human relationships, and learn empathy for those living with dementia.This session will give an overview of the OMA program that is run at Trinity Village Care Centre and showcase the positive impact it has had on residents, staff, families and the community, including the positive change in volunteers’ attitudes toward aging and dementia. Delegates will be provided with the information they need to be able to bring the program into their own home. This session will share the story of the first Medical Assistance in Dying (MAID) case involving a resident in an Ontario long-term care home – a resident who made it his final goal to advocate for the rights of eligible residents to receive MAID in their long-term care home.The ability to successfully meet this resident’s rights was dependent upon using empathy and a flexible, solutions-oriented approach. Certain legislative requirements were required to be overlooked in order to remain primarily focused on the resident’s right to die with dignity. Regular and open communication between the Home’s staff and hospital physicians was imperative. Legal guidance was needed with respect to notifying the Ministry of Health and Long-Term Care and Office of the Chief Coroner. Co-residents and staff required education and support in a congregate living environment.Join members of this resident’s family, representatives from the home where he lived and the home’s legal counsel as they speak about how the MAID process unfolded in this case and how the home was able to ensure the wishes of the resident and his family remained central, while operationally achieving a successful conclusion in the absence of regulations, experience and policy. This panel presentation will provide the operational, clinical, legal and family perspectives ensuring that the resident’s legacy – the right to die with dignity at home – was achieved. There is no time like now to mobilize the sector around the increasing presence of ageism and age discrimination. Dr. Stone will report on the latest efforts being taken in the U.S. and internationally to better understand and combat ageism. 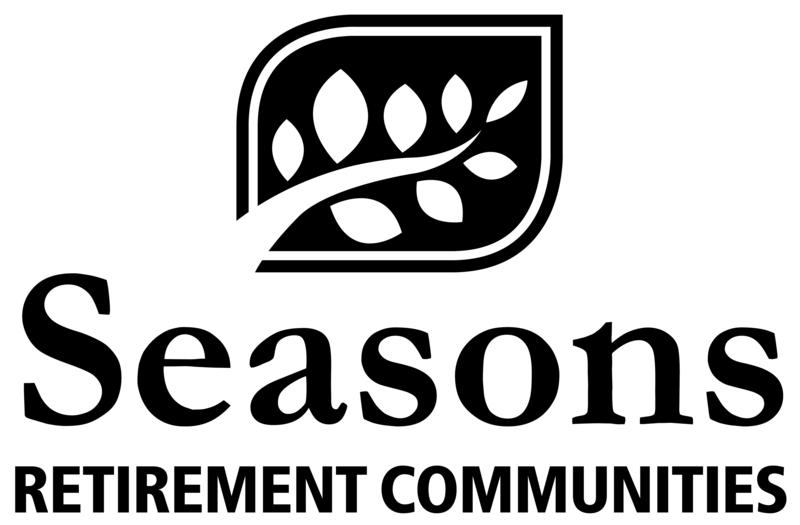 LeadingAge has incorporated this goal into its vision statement and this session will be a call to action for retirement communities and aging organizations to implement initiatives within their communities to challenge ageism head-on. Speakers: Andrea Van der King, Principal Designer, Van der King; Eloy Van Hal, Founder & Developer, De Hogeweyk Village and Ron Possamai, Principal Architect, Global Architect Inc. Considering memory care? Join three design experts to learn their top 10 musts of memory care design. They will showcase international and local projects and will share both structural, and interior design tips to incorporate when designing villages, stand-alone buildings and repurposing preexisting structures. We all enjoy a great meal, and a great dining experience, so why should we strive for anything less for our Seniors? Today’s operators are so busy “keeping up” they are bogged down in the daily routine. In this presentation we will review the top 10 things you can start to do tomorrow to enhance your residents’ dining experience, all the time staying on budget and on task. We will explore food production, preparation, procurement, staffing, delivery of meals, plate presentation, etc. opening minds to new possibilities. In addition, we will explore opportunities to use innovative technologies to enhance your Residents’ dining experience. Increase their awareness and understanding of design thinking and its tools and strategies to trigger innovation. Participate in interactive exercises to frame the current challenges, provoke prevailing assumptions, and stimulate new directions in thinking about opportunities for future design of long term care homes. Speaker: Lora Bruyn Martin, Schlegel-UW research Institute of Aging. Many older adults are discouraged or intimidated by physical activity due to a fear of falling, fatigue, weakness, or even the perception that it is too late in life for them to start being active. While these barriers are very real, most people do not realize that physical activity, even light activity, is achievable for almost anyone. What’s more, there is growing evidence suggesting that even activities such as light walking or household chores like folding laundry can have health benefits compared to sitting or lying still. For older adults the primary benefit is prolonged independence.Move More is an evidence-informed initiative that aims to shift the way people think about and approach physical activity, and empower team members, residents and family members to find opportunities for residents to move more throughout the day. Move More was developed by the Schlegel-UW Research Institute for Aging (RIA) and Schlegel Villages over and is being rolled out in 14 Schlegel Villages.This initiative has the potential to benefit the entire long-term care and retirement industry. Join this session and learn more about the program, including how Move More was developed and rolled out using evidence-based knowledge translation principles, and how it is being evaluated using evaluation science. Delegates will leave the session with tools and tips to get their residents moving! Do your Advance Care Planning Practices Comply with Ontario law? You may be Surprised! Ensuring the right information is given to the right person, at the right time, in the right way, is critical to safeguard compliance with Ontario law. Meeting the legislated professional obligations for all health practitioners and accredited health organizations is vital to reducing the risk of complaints and legal liability.Join this innovative workshop for a thought-provoking and energetic session that highlights health care consent (HCC) and advance care planning (ACP) best practices that comply with the Ontario legal framework. This session will provide information to assist you in clearing confusion and dispelling misconceptions, including activities to support knowledge translation in your role related to HCC and ACP. Participants will increase their knowledge of Ontario’s legal framework, learn to utilize consistent language and practice, and gain Ontario-specific tools and supports. Attendees are sure to leave with new knowledge and will be able to make changes to improve both system and resident outcomes in their homes. Chartwell believes its residents should be the drivers of their own journeys. This session will explore this topic and highlight Chartwell’s approach to culture change within its long-term care homes.In this session, representatives from a number of Chartwell homes will share examples of innovative projects they believe have made their residents’ lives better. These include the Chartwell Academy, an innovative approach to residents wanting to continue learning in the home; themed-day meals planned together by residents and staff; a Montessori program that works with residents to provide meaningful work within the home; and a dining-room wash cloth program which, although simple, has brought a lot of change to the dining experience for residents.Delegates will learn how to help their residents drive ideas for programs and quality initiatives in their homes. Our job as employees is to assist residents in making these ideas reality. This session will help people translate this knowledge into action, even if in small steps, working with residents to help create an atmosphere of caring and fun. One of the greatest challenges in supporting people living with dementia is enabling autonomy and choice. The dominant view of dementia stresses incapacity and decline, and our care systems lean heavily on maximizing safety, often at the expense of one’s quality of life. In this session, the presenter will suggest an alternate view of dementia that focuses on the person’s experience, and uses a transformative approach to care and support that enhances well-being through deep, knowing relationships. Dr. Power will provide a pathway for relational autonomy and share stories of how people have successfully negotiated “the dignity of risk. Join the CEO of the Retirement Home Regulatory Authority (RHRA) to hear about current and future initiatives at the RHRA. Learn about the outcomes from the strategic outreach plan, the early stages of their collaborative work with other key regulatory bodies, and more. Bonnie will then be joined by an operator to have an open dialogue about current opportunities and challenges for the sector, and how we can work together to continue to operate safe and welcoming homes for seniors with the ever changing landscape. As the majority of people living in long-term care are frail seniors with complex medical conditions, it is important for staff to be well-informed on palliative care and end-of-life best practices. A palliative care approach seeks to improve a person’s quality of life when individuals face chronic, life-limiting conditions at all stages, not just at the end of life (Carstairs, 2010). People with dementia can therefore benefit from a palliative approach, even long before death is near. However, palliative care is not always available to these individuals, as many misconceptions persist regarding palliative care and active versus comfort care.Health care providers have an important role to play in preparing people with dementia and their families for end-of-life. This presentation will delve deeper into this role, engaging the audience in learning about the facts of dementia at end-of-life, including the physical changes that can be expected as well as the unique caregiving experience through to end-of-life. Typical feelings and fears of families at this stage of caregiving, including common myths and concerns will be addressed, and attendees will be challenged to consider these feelings and fears from alternate perspectives.Participants will learn about an online resource created by the Alzheimer Society of Canada to help families prepare for end-of-life, make the difficult decisions they may face, and cope with the grief they may experience. Information learned in this session will impact how participants think about palliative care for people with dementia and how they help support families and residents with dementia going through end-of-life care. Closing Keynote - Dream BIG Be BOLD! Get fired up and fuel your vision to the next level. With insights from her best selling book Bold Courage: How Owning Your Awesome Changes Everything, Paula Morand shares insights about what it means to shift perspective, discover new possibilities and make the decision to play a bigger game in work and in life. With high energy and humour, Paula is sure to close our conference with an infusion of hope, courage and action.